A boutique San Francisco-based PR firm specialized in emerging technologies, where story and strategy unite. to companies like Apple, Oracle and Amazon Web Services. You hire the senior team, you get the senior team. What gets us out of bed before the alarm? Our clients. We live and breathe their business and their success is ours. We’re not order takers. We’re market shapers. We thrive in the digital economy of “What’s Next” and storytelling is our currency. We think the world of PR is broken however, and in desperate need of a reboot. In an industry full of “spray and pray,” we believe highly strategic PR is the only way. Always on and with our antenna always up, we relentlessly and passionately pursue the “What If?” with remarkable bandwidth and agility. Knowledge and experience are important to be sure, but that’s not enough to achieve solid, lasting results. In a crowded and confused space, it’s imperative to have deep connections, spark conversations and fan the flames. We are masters of simplifying the complex and making the difficult look easy – all with graceful persistence. We proudly bring our passion and creativity to work every day. We love what we do and it shows. Individually, we have our own super powers and flex our respective specialized muscles. Collectively, we are a force with which to be reckoned. We are Mercury Global Partners. © 2018 Mercury Global Partners. All rights reserved. 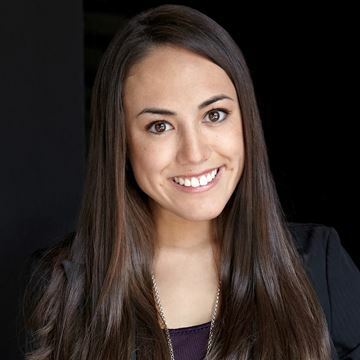 Kayla brings extensive B2B and B2C PR experience in enterprise/SaaS, cloud, fintech, mobile IoT, robotics and consumer tech to her role as Senior Account Manager, where she manages the day-to-day activity for multiple accounts and works proactively to ensure client KPIs and deadlines are met. 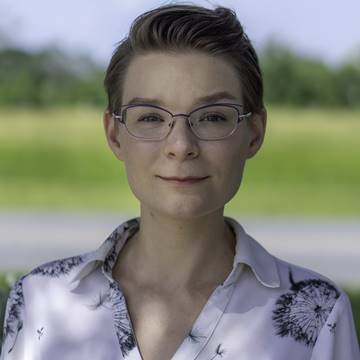 Highly skilled at moving PR strategies forward through media and analyst outreach, Kayla excels at simplifying concepts, elevating basic content, and writing for both consumer and business audiences. Her carefully crafted pitches consistently result in tier-one media coverage as well as press meetings at key tech conferences including CES and MWC. Lured by the opportunity to work with dolphins, sharks and whales, Kayla worked previously at the Harbor Branch Oceanographic Institute, helping scientists and engineers translate their research into public-ready stories. Prior to that time, she held the role of Account Manager and Account Executive at Mercury Global Partners. Prior to MGP, Kayla worked for SpilledINK, a boutique agency where she helped manage accounts including PrimeSense (acquired by Apple in November 2013), OpenNI, Democrats Abroad 2012, and Catchoom. Based in South Florida, Kayla enjoys taking walks outside between November and March and being inside the rest of the year. She insists that it is “not too hot in Florida”. Her idea of a good vacation is one planned around tasty eats. Antonio Hicks possesses over a decade of communications and branding success. Having worked across diverse industries including B2B and B2C technology, gaming, sports, entertainment and consumer lifestyle, Antonio’s experience is a consummate public relations, communications and brand expert. Prior to joining MGP, Antonio led marketing and communications for StreamLabs, the number one streaming software and platform used by today’s top streamers on Twitch, Facebook, YouTube, Mixer and more. During his tenure at StreamLabs, Antonio built the company’s brand and messaging, consistently raised the company profile via coverage in top-tier outlets such as The New York Times, TechCrunch and VentureBeat, and also produced and curated StreamLabs’ highly successful presenting conference, Expanding the Stream, an invite-only day summit featuring the best and brightest from the video gaming, eSports, social media, and streaming companies. Antonio previously worked for Spark PR, where he launched numerous Silicon Valley start-ups and product introductions into the market, including: the world’s first 3D body scanner, the Naked Fit; the newest intro to supersonic travel from Boom Technology, Boom Supersonic, along with some of the most innovative technology startups across multiple verticals such as health and fitness, e-commerce, mobile gaming, VR and smart home. Prior to Spark PR, Antonio served as PR Manager for Seattle Theatre Group, the largest performing arts organization in the Pacific Northwest region, where he managed PR for hundreds of performances annually, and also created and launched STGtv, a premiere video platform on YouTube and Amazon Fire. 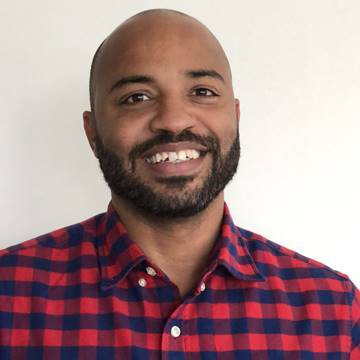 Based in San Francisco and with a passion for storytelling, technology and the arts, Antonio enjoys digging deep to find the best story angles to pitch reporters that will resonate with their audiences. In his spare time, Antonio likes to travel the world, explore his passion for cooking and kitchen gadgets, enjoy fine dining in San Francisco, and catch what’s playing at the Yerba Buena Arts Center. Ginny has more than 25 years of diversified experience in all aspects of online and offline marketing, with the last 10 years in financial services-related industries including real estate technology, residential real estate services, new home building, mortgage lending, retail operations and technology, ABA and joint venture mortgage relationships. Based in the San Francisco Bay Area, Ginny cut her teeth in public relations in the Silicon Valley handling high tech clients in the 90s. Prior to MGP, Ginny founded and ran her own marketing consultancy firm, Cain Communications, where she worked with a variety of clients in the tech, real estate and mortgage industries. 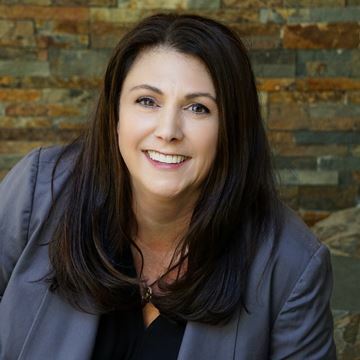 She also previously served as VP of marketing for several top 10 nationally ranked real estate brokerages, including Alain Pinel Realtors and Prudential California, Texas and Nevada realty. A 360-degree marketer, Ginny understands that a client’s needs often include everything from public and community relations and advertising to web content and online marketing. She has a vision around the 360-degree concept and the experience to back up the vision. Ginny holds a bachelor’s degree in business marketing form Cameron University in Oklahoma. She’s also an incessant Francophile and a weekend gourmet. 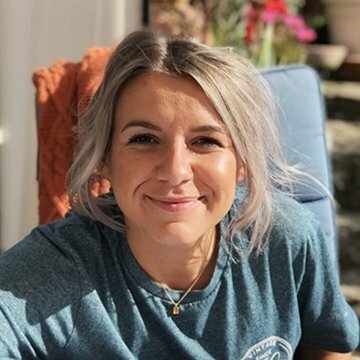 Colleen is a communications professional with more than 13 years’ experience – including broadcast TV, in-house and agency PR – working with an extensive range of enterprise, consumer tech and lifestyle brands. She is responsible for developing and executing marketing and communications strategies for clients. Her specialties include campaign and product launch planning, messaging and content creation, integrating traditional and social media strategies, and providing executive-level counsel and event planning. Colleen is highly accomplished at building productive relationships with both traditional media and key vertical influencers via an integrated approach to PR and social media. She has worked with an extensive range of B2B and B2C companies throughout her career including Meebo, Mobclix (acquired by Velti), Yodlee, Google, Inbenta, Sony Online Entertainment, Favado App (Savings.com), FabKids (acquired by JustFab), Tindog, Social Gaming Network (SGN), Bunchball, JustAnswer, Coupon Craze and SmartyPig. Based in San Francisco, Colleen has an insatiable appetite for discovering new music and local restaurants and recently completed a month-long excursion in Patagonia. On sunny days, you can almost certainly find her at the beach with her dog, Bruce. As an Account Coordinator, Hannah is responsible for supporting the MGP account teams across the entire client base. Her responsibilities include building media lists, drafting content, executing reports, researching events and awards and performing valuable competitive media research. She is also charged with social media execution for MGP and its clients to draw attention to them, enhance client messaging while remaining true to vision, and deepen engagement with followers and industry influencers. Prior to joining MGP, Hannah worked in the restaurant industry and also dabbled in social media across multiple platforms. 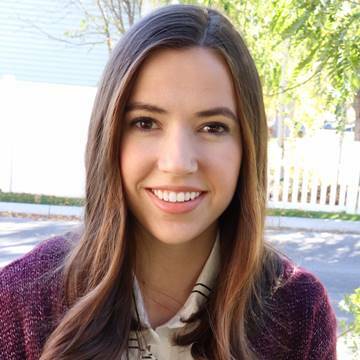 A recent graduate of BYU – Idaho with a bachelor’s degree in psychology, Hannah is passionate about her Corgi, Brie, and enjoys food, photography, and traveling in her free time. Erin is a PR and social media professional with more than 20 years of B2B and B2C experience, spanning a variety of sectors including mobile, telecom, transportation, AR/VR, fintech, education, cloud, connected home, IoT, travel and enterprise. Her expertise runs wide and deep: developing and executing PR strategies for clients, competitive analysis, messaging, media relations, analyst relations, content and blog creation, social media campaign development and media training. Erin has worked with companies at every stage of their lifecycle – startups, mid-market and globally traded companies – including AltspaceVR, Autodesk, Automatic, Glu Mobile, Salesforce, Sidecar, Slacker Radio, StudyMode, WorldMate and Xirrus. Earlier in her career, she spent time in Sydney, Australia gaining valuable overseas experience and working with numerous global telecom companies. She’s since gone on to work with companies all over the world including Israel, Japan, Mexico, France, the Netherlands, the U.K. and the U.S.
An expert at securing media coverage, Erin has landed clients in numerous broadcast, consumer, technology and business publications, i.e. CNBC, The Wall Street Journal, TechCrunch, The Verge and USA Today. She’s also placed a wealth of contributed content over the years in VentureBeat, Forbes, WIRED and the podcast, USA Today’s Deep Dive. Erin hold a bachelor’s degree in Journalism from Chico State, and was certified in social media by the University of San Francisco. A lifelong Bay Area native, Erin is a self-proclaimed news junkie, world traveler and enjoys reading, wine tasting and visiting farmers markets. She loves taking her puppy to Crissy Field and watching her eat sand. 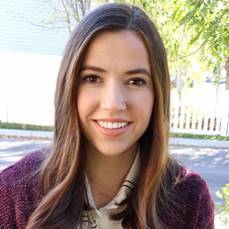 Based in Idaho, Tara brings her passion for writing to her role as account executive and is a frequent content marketing author (bylines, blogs, case studies) for MGP clients. A “Jill of all trades”, Tara plays a critical role in driving content marketing for clients, media outreach and reporting, managing award and speaker submission drafts and sell-in, drafting media briefing books, executing impactful social media campaigns, conducting media research, building client reports and more. 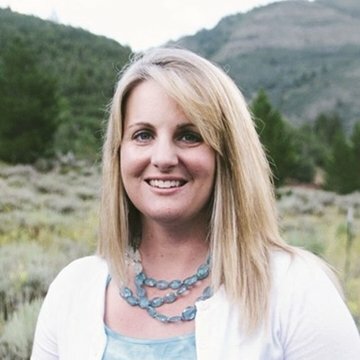 Tara recently graduated from Brigham Young University – Idaho, where she earned a bachelor’s degree in PR and communications. Her love of gymnastics began at an early age and has evolved into a love of dance – particularly ballroom dance with her husband. They’ve mastered the “swan lift”! Tara enjoys all things beautiful and is also an accomplished harpist. Carla’s communications experience spans both B2C and B2B PR. Her daily activities include media relations, expertly managing product reviews campaigns, managing events and awards, developing content (bylines, blog posts, press releases) and supporting the team on executing clients PR strategies. Carla skills also encompass overseeing MGP’s social media channels and beautiful design work for MGP and its clients. Prior to joining MGP, Carla worked for a broadcast PR agency based in London, where she focused on generating creative ideas for broadcast strategies to raise awareness for brands across TV, radio and online media. She also spent three years working in the wine industry for a wine supplier specialized in organic and biodynamic wines, where she earned a qualification in winemaking. Based in Barcelona, Carla enjoys food, wine and travel, will say hello to every dog she encounters, and has a particular fondness for the autumn season. An accomplished, results-driven PR professional, Allie brings extensive B2C consumer tech and lifestyle PR experience to her role of Senior Account Manager at MGP. Her unwavering commitment to delivering exceptional client service is complemented by her expertise in media relations, media training, message development, integrated brand strategy, creative campaigns and producing high profile launch events. As a result, Allie continuously raises the visibility of clients on a national scale, garnering media placements in top-tier outlets and recognition through top industry awards. A media relations specialist and expert communicator, Allie has a knack for identifying and securing unique press opportunities for both emerging and established brands. The depth of tier one media coverage she’s recently secured for clients includes The TODAY Show, Digital Trends, CNET, WIRED, The New York Times, Forbes, MacWorld, CNNMoney, Cosmopolitan, Glamour, Men’s Journal, O – The Oprah Magazine and Condé Nast Traveler. 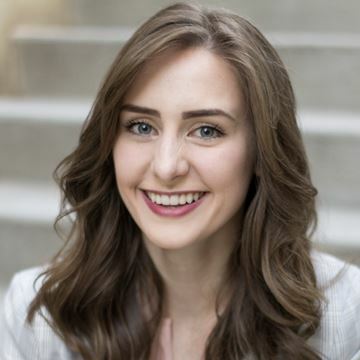 Prior to joining MGP, Allie consulted for several consumer tech companies including Prynt, Petcube and HoundLabs Inc. as well as numerous wine and spirits brands and organizations, including Kobrand Wine & Spirits, Lucas Bols, and the Court of Master Sommeliers. 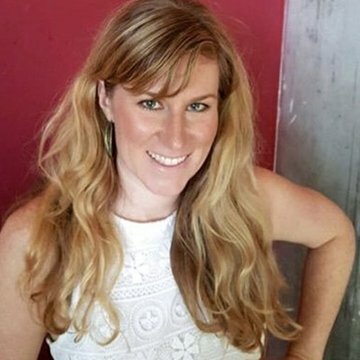 Prior to consulting, Allie directed the consumer group at Cinch PR in San Francisco, where she led accounts including Kenu (from the founders of Joby), Jackson Family Wines, Hyatt Hotels & Resorts, Kimpton Hotels & Restaurants, Viceroy Hotels, Proper Hotels, and Four Seasons Hotel San Francisco, amongst others. Earlier in her career, Allie worked for Know Public Relations in Washington, D.C., where she delivered strategic communication services for leading culinary brands and personalities, including Bravo’s “Top Chef All-Stars” runner-up, Chef Mike Isabella, celebrity Chef Art Smith’s Art and Soul in The Liaison Capitol Hill, famed Chef Jean-Georges Vongerichten’s J&G Steakhouse in the W Hotel – Washington, and Chef Todd Gray’s Equinox and Muse at The Corcoran Gallery of Art. Allie earned her bachelor’s degree in Corporate Communication from the School of Media Arts and Design at James Madison University. Based in Orange County, Allie is a fitness enthusiast and cardio dance instructor, who loves skiing, wine tasting and exploring SoCal with her husband and young daughter. As CEO, Mindy is responsible for the overall strategy, vision and direction of MGP, including operations, business development, marketing and PR. With more than 25 years of B2B and B2C experience, Mindy has defined the strategy and run successful programs for numerous seed-stage startups, challenger brands and publicly traded market leaders, catapulting them onto the global stage and playing a significant role in helping many of them to exit. Mindy’s sector experience runs wide and deep – AI, VR/AR, gaming, mobile (devices, apps, messaging, security, analytics), IoT/smart home, consumer tech, cryptocurrency/blockchain, sleeptech, adtech/martech, fintech, cybersecurity, 3D sensors, edtech, enterprise/SaaS/big data, ecommerce and more. She specializes in new product launches, playing an active role in propelling startups and challenger brands onto the global stage. Throughout her career, Mindy has built strong relationships with journalists, analysts and conference organizers, alike – consistently winning media coverage in some of the most respected tier-one global media and annually placing clients as speakers at highly regarded conferences such as Mobile World Congress, CES and SXSW. Prior to founding MGP, Mindy spent time in senior-level roles in the media/publishing sector at the Financial Times, E.W. Scripps Co. and Inman News Group. A California native, Mindy can usually be found with a can of La Croix sparkling water or cup of green tea in hand. She has a proclivity for travel, gourmet cooking, wine, music, weekend excursions with her husband, and a warm spot in her heart for The Netherlands. As Managing Director, Natalee is responsible for creating overall client strategy and ensuring that all PR campaigns map to both the short and long term goals of each MGP client. She brings a wide breadth of global PR experience to her role, representing companies at every stage of the business lifecycle – from startups to the Fortune 100. With more than 17 years of PR experience, Natalee has cultivated strong relationships with members of the media, important industry conferences and influential market analysts. Her B2B and B2C sector expertise spans AI, mobile, VR/AR, automotive, adtech and marketing tech, fintech, hardware (including test & measure), big data, enterprise/SaaS and more. Natalee began her career in journalism and brings a unique reporter perspective to her PR approach. 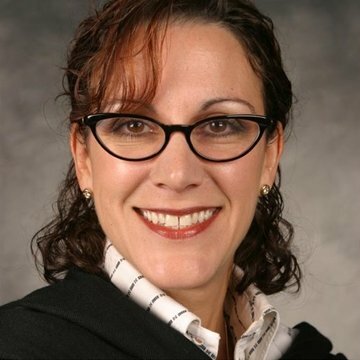 Prior to joining MGP, she served as vice president of SF-based PR firm, Incendio International, where she represented large companies such as Flextronics International, Sun Microsystems, Sanmina-SCI, as well as young startups including Soft Kinetic, Taulia and FollowAnalytics. She holds a bachelor’s degree in broadcast journalism and political science from Brigham Young University. Based in Denver, Natalee is a prolific writer, avid cyclist and sometimes triathlete who loves to travel the world with her husband and two kids.